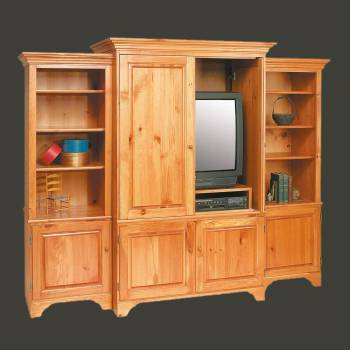 TV Stands that are well made are hard to find. Pick out your TV Stands here today. Our Shaker Entertainment Center is 46 in. wide x 71 in. high. Kit comes unfinished and ready to assemble. 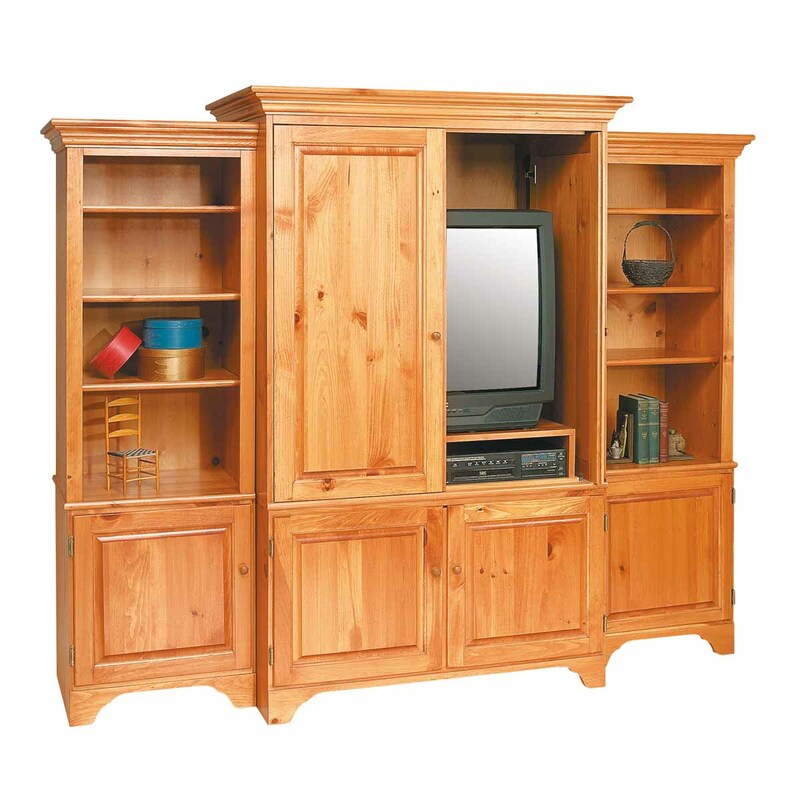 Entertainment Centers: Our Shaker Entertainment Center is 46 in. wide x 71 in. high. The upper video shelf holds a 35 in. TV, VCR and DVD player. Doors open, then recede into the sides. Cabinet space below for audio system and CD/video library. Bookcases are not included. Kit comes unassembled and ready to assemble. Unfinished natural solid pine, leave as is or stain to match your decor.